Imagine this: you’ve spent days dealing with a sore throat and a fever due to strep throat and finally you purchase some antibiotics. You take the correct dose for the correct period of time, and yet your symptoms only get worse. You wonder: what have you done wrong? Why are you still sick? But you have done nothing wrong. Rather, the antibiotics you were taking did not contain the active ingredient that was supposed to cure your strep throat. Fake drugs are a large, underhand issue throughout the world. People who run fake medicine operations make drugs with incorrect active ingredients, drugs without active ingredients, and drugs containing harmful substances such as heavy metals, brick dust, paint, and poisons. A common misconception is that only “social” drugs can be counterfeited, but in reality, any drug can be counterfeited. 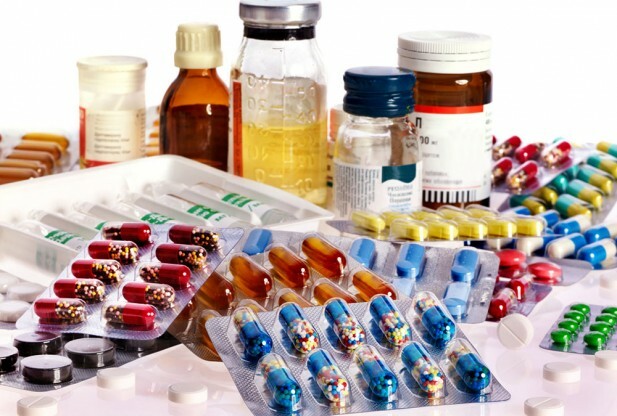 Counterfeit medicines can be harmful in three ways. First, a drug that does not contain the active ingredient it claims to contain can be harmful because it fails to treat symptoms. Second, a fake drug can be harmful because it contains poisonous substances. And third, and perhaps most frightening, fake drugs can assist in the evolution of bugs that cause diseases and increase the resistance of these bugs to antimicrobials. When these drug-resistant bugs spread, more and more people get diseases that cannot be cured with antimicrobials. In developing countries, criminals who create counterfeit drugs tend to fake vital drugs of immediate necessity such as antibiotics and antimalarials. Specifically, if there is a shortage of a particular drug that is in high demand, producers of falsified medicines will rush to fill the gap between supply and demand. This affects public health, as it can lead to outbreaks of diseases that could have otherwise been cured. In the United States, the drugs that are faked are mostly expensive drugs like cancer drugs and growth factor blockers, as these are very profitable. Cancer drugs are an especially good target, considering both their price and the fact that cancer survival rates are low so it is easier to get away with faking cancer medications. In addition, drugs for conditions that are sometimes stigmatized by society, such as weight loss and sexual dysfunction drugs, are commonly purchased on the internet, making them easy targets for faking. This is because drugs sold on the internet are not reimbursed and therefore it is easier to get away with faking them. No country is immune to fake drugs and the statistics are frightening: World Health Organization estimates that in low and middle income countries, one in every ten medical products is substandard or falsified. When purchasing medicine, a few things to be cautious of are very low priced products, strange looking packaging with spelling or grammar errors, websites that do not have a phone number or address, and websites that sell prescription-only medicines without requiring a prescription. Being aware of all of these factors will help to limit the chances of purchasing fake drugs. Considering all the harm that can be caused by fake medicines, it is necessary to both identify and report them. World Health Organization has a database for substandard and falsified medical products which aims to eliminate the risk of fake drugs by compiling information. In each country, there is a different protocol for reporting falsified medicines. In the United Kingdom, fake drugs should be reported to The Yellow Card Scheme. In the United States, fake drugs should be reported to the Food and Drug Administration. In India, fake drugs should be reported to the Central Drugs Standard Control Organization. In Australia, fake drugs should be reported to The Department of Health. Of course, these are just a few examples. If you or anyone you know senses you have fake medicine, research the best place to report it in your country. For the sake of public health and safety, it is essential to make sure that fake medicine is detected and does not harm anybody.